Mastertech has been working on Jeeps for many years and we have seen just about every model come in our doors. If you need major repairs, you can simply drop off your vehicle for long-term service. For small repairs or regular service, simply schedule an appointment ahead of time so you can be in and out. We know how important it is for you to get back on the road as soon as possible so we do all of our work quickly and efficiently. Mastertech in Oceanside is a member of many automobile associations. Our A.S.E. 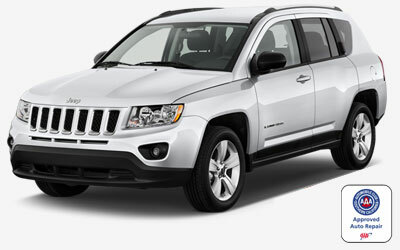 Certified Technicians are ready and willing to service your Jeep and get you back on the road. Come in or call to schedule services for your vehicle right now. Jeep Liberty Owners! Have you recently had the unfortunate experience of your window falling inside your car door? You are not alone. 2006 Jeep Liberty owners reported similar happenings 264 times to carcomplaints.com, an online site that collects and analyzes customer complaint data. It turns out the power window regulator in the Liberty models may be faulty. Some owners reported only one occurrence of this phenomenon, while others reported it happening on all four windows. Replacing the regulator themselves is not something most owners can do. At a dealer, this Jeep repair costs around $500. If you have the time and patience to mess around with your vehicle, and want to take the risk of putting the door back together wrong, you can find instructions for replacing regulator online. However, if you want to take the safer route, visit a Jeep repair shop.